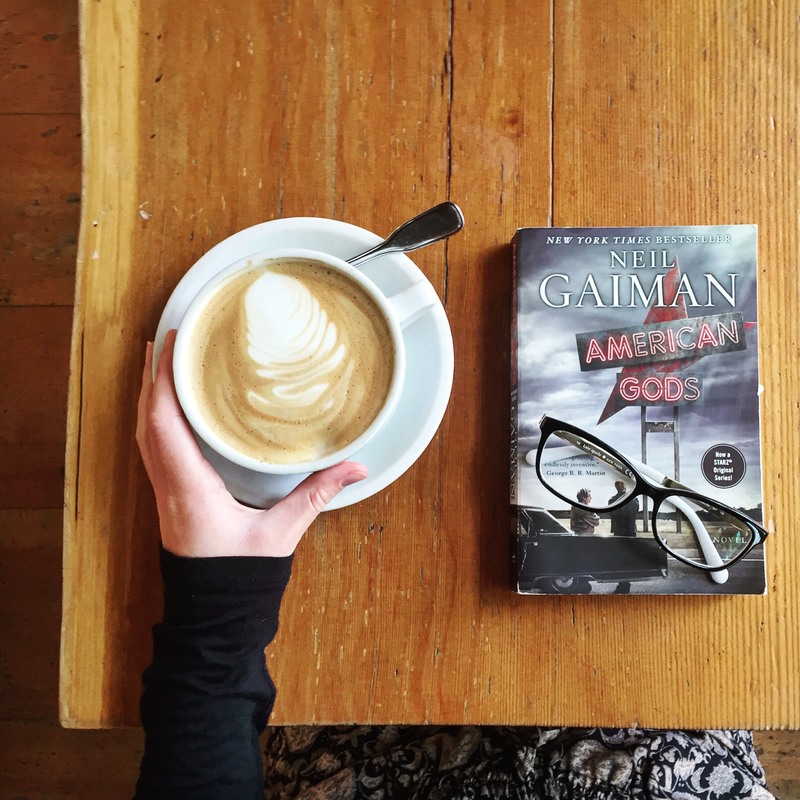 America is a bad place for gods in American Gods by Neil Gaiman. In modern day, a war has broken out between the old gods and the new. This is where Shadow finds himself – standing in the middle of a troubling war he doesn’t fully understand. Shadow has been in jail for the last three years and as soon as he’s about to be released, his wife Laura dies in a car crash. Unexpectedly, Shadow meets the odd and all knowing Mr. Wednesday, a leader of the old gods, who offers him a job. With nowhere to go and nothing to do but grieve, he accepts Mr. Wednesday’s offer. We soon learn that Wednesday is rallying the old gods to join him in the battle. Shadow plays a larger role in this than he could have ever imagined. 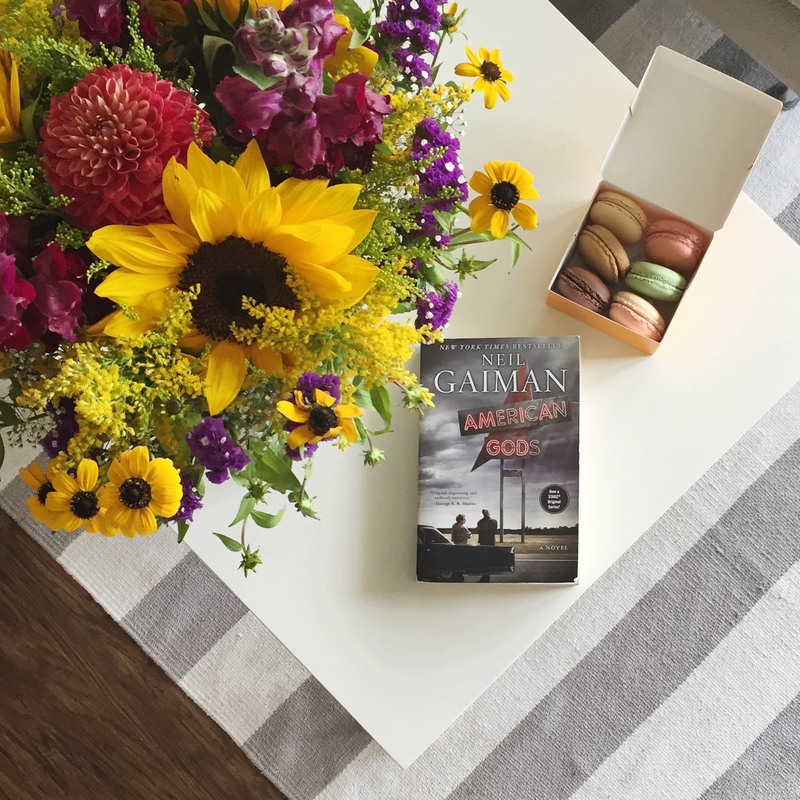 Through this story, Gaiman shares a vivid history of America. It’s a really interesting idea, this war of the gods, and it’s very fantastical and full of mythology. The story is definitely thought-provoking, but the pace was slow for me and some of the transitions from one scene to the next were difficult to follow. I loved Gaiman’s book, The Ocean at the End of the Lane, and while American Gods was also good, it was very different. It’s clear that he’s a very talented writer! I’ll have to check this out. I’ve heard such great things about the TV adaptation. This is definitely a bit more meandering than The Ocean at the End of the Lane, but I think he meant for it to be that way in order to allow it to travel across the country with the snapshots of gods in other areas and the mini stories interspersed within the main narrative. That being said, I am a bit biased because it is my favorite of his novels. Great review! I read and reviewed this book as well. I found Gaiman’s writing style interesting. Sometimes I felt a little bored with the book, but then he’d bring you in with a great thought-provoking quote. I really enjoy your blog! Have a great day! Thank you! I hope you can read the book soon!